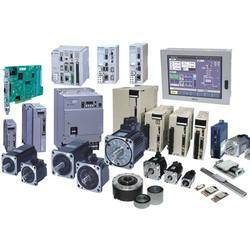 Offering you a complete choice of products which include servo drives, servo drives & motors, ac servo drives, ac servo motors and plc control panel. Excellent cost to performance ratio for position Control. We are the leading manufacturer and supplier such as Servo Drives & Motors in Andhra Pradesh, Karnataka, Kerala, Pondicherry & TamilNadu Areas; Chennai, Coimbatore, Cuddalore, Dharmapuri, Dindigul, Erode, Kanchipuram, Kanyakumari, Karur, Krishnagiri, Madurai, Nagapattinam, Namakkal, Perambalur, Pudukottai, Ramanathapuram, Salem, Sivagangai, Thanjavur, Theni, Nilgiris, Thoothukudi, Trichy, Thirunelveli, Thiruvallur, Thiruvannamalai, Vellore, Villupuram, Virudhunagar, Ariyalur, Thirupur, Thiruvarur. We have in store for our clients, an industrially verified range of Servo Drives And Motors that is in accordance with the Sigma-II Series, JUNMA Series and Sigma-V series. 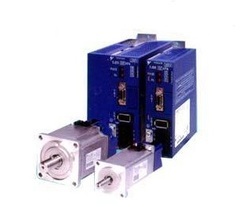 Our Servo Motor Line Up delivers high performance and is designed to suit all application needs. We are the leading manufacturer and supplier such as Servo Drives And Motors in Andhra Pradesh, Karnataka, Kerala, Pondicherry & TamilNadu Areas; Chennai, Coimbatore, Cuddalore, Dharmapuri, Dindigul, Erode, Kanchipuram, Kanyakumari, Karur, Krishnagiri, Madurai, Nagapattinam, Namakkal, Perambalur, Pudukottai, Ramanathapuram, Salem, Sivagangai, Thanjavur, Theni, Nilgiris, Thoothukudi, Trichy, Thirunelveli, Thiruvallur, Thiruvannamalai, Vellore, Villupuram, Virudhunagar, Ariyalur, Thirupur, Thiruvarur. 20 bit incremental encoder (resoluion-1,048,576 PPR) as standard with Serial interface to the Servo pack. We are the leading manufacturer and supplier such as AC Servo Drives in Andhra Pradesh, Karnataka, Kerala, Pondicherry & TamilNadu Areas; Chennai, Coimbatore, Cuddalore, Dharmapuri, Dindigul, Erode, Kanchipuram, Kanyakumari, Karur, Krishnagiri, Madurai, Nagapattinam, Namakkal, Perambalur, Pudukottai, Ramanathapuram, Salem, Sivagangai, Thanjavur, Theni, Nilgiris, Thoothukudi, Trichy, Thirunelveli, Thiruvallur, Thiruvannamalai, Vellore, Villupuram, Virudhunagar, Ariyalur, Thirupur, Thiruvarur. 17 bit incremental encoder (resolution-131072 PPR) as standard with serial interface to servo pack. Option for absolute encoder. 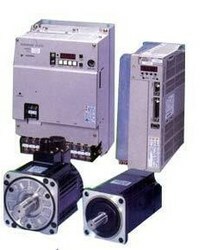 Choice of servo Driveswith 200v & 400V. Speed Control, Position Control, Torque Control and Contact Speed as Standard. On the fly mode change through digital input possible as standard. Analog/Pulse train reference as standard with network option of Mechatrolink-II, Profibus, Devicenet. We are the leading manufacturer and supplier such as AC Servo Motors in Andhra Pradesh, Karnataka, Kerala, Pondicherry & TamilNadu Areas; Chennai, Coimbatore, Cuddalore, Dharmapuri, Dindigul, Erode, Kanchipuram, Kanyakumari, Karur, Krishnagiri, Madurai, Nagapattinam, Namakkal, Perambalur, Pudukottai, Ramanathapuram, Salem, Sivagangai, Thanjavur, Theni, Nilgiris, Thoothukudi, Trichy, Thirunelveli, Thiruvallur, Thiruvannamalai, Vellore, Villupuram, Virudhunagar, Ariyalur, Thirupur, Thiruvarur. 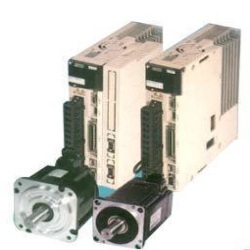 Looking for Servo Drives & Motors ?